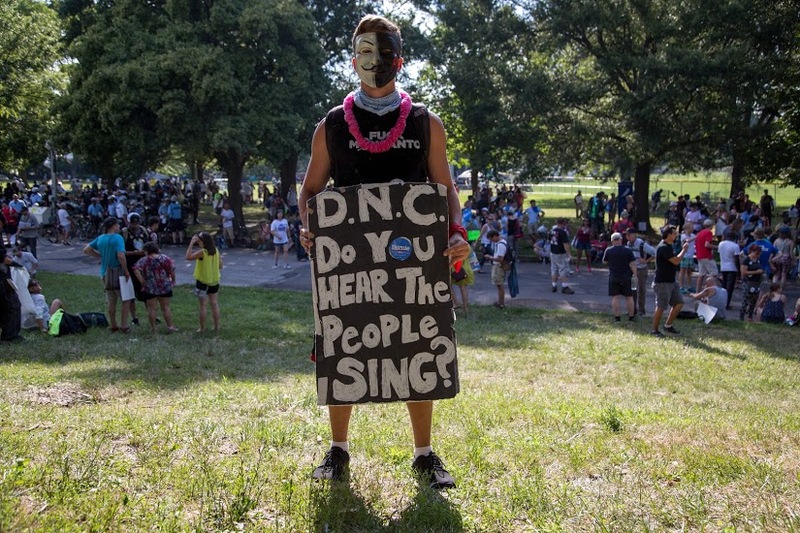 Thousands of protesters have taken to the streets at the Democratic National Convention in Philadelphia. 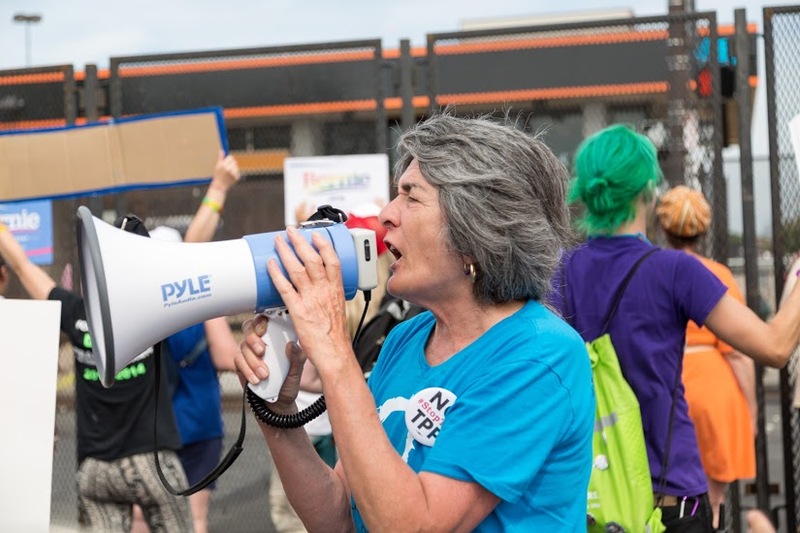 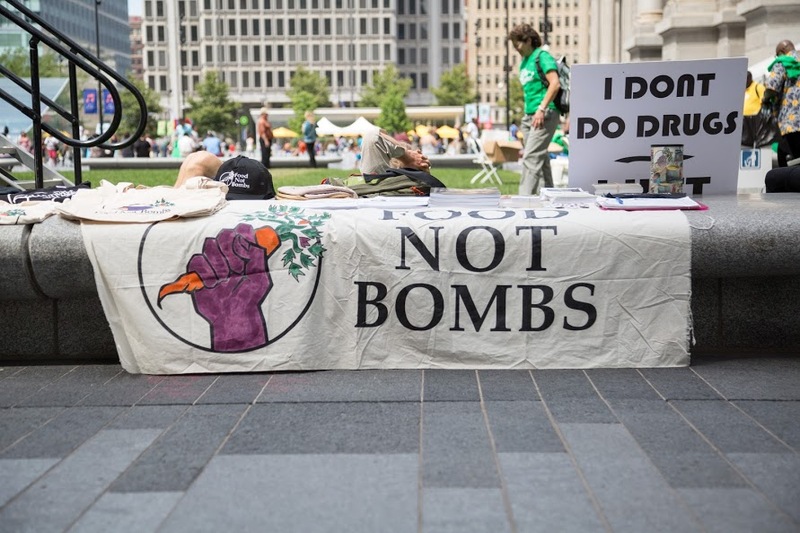 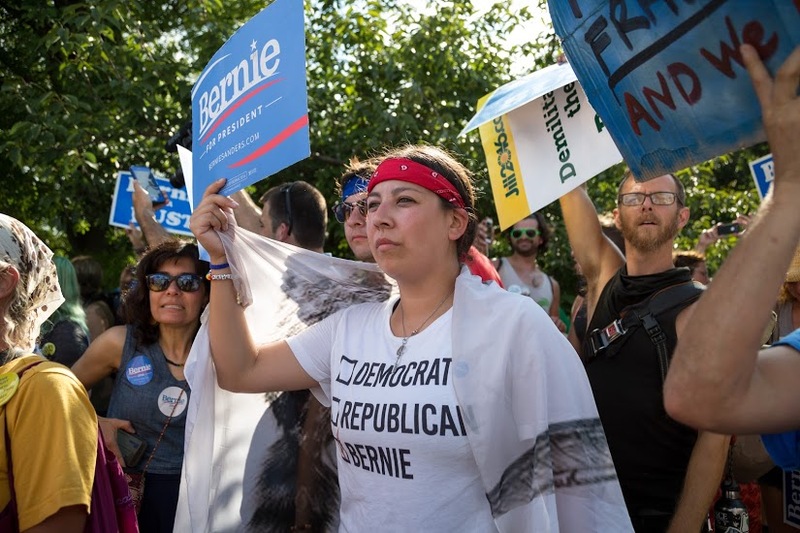 While much of the media’s attention is inside the convention, local photojournalist Emily Lockhart is capturing images outside the convention, where numerous rallies are being held. 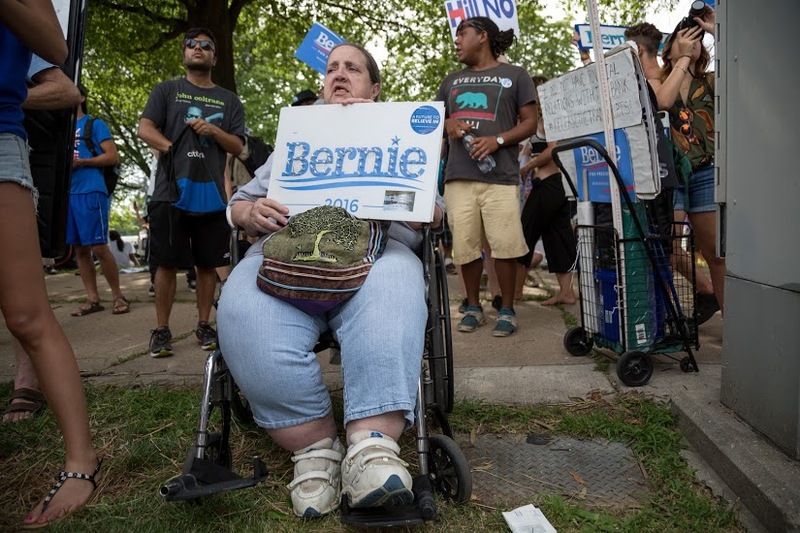 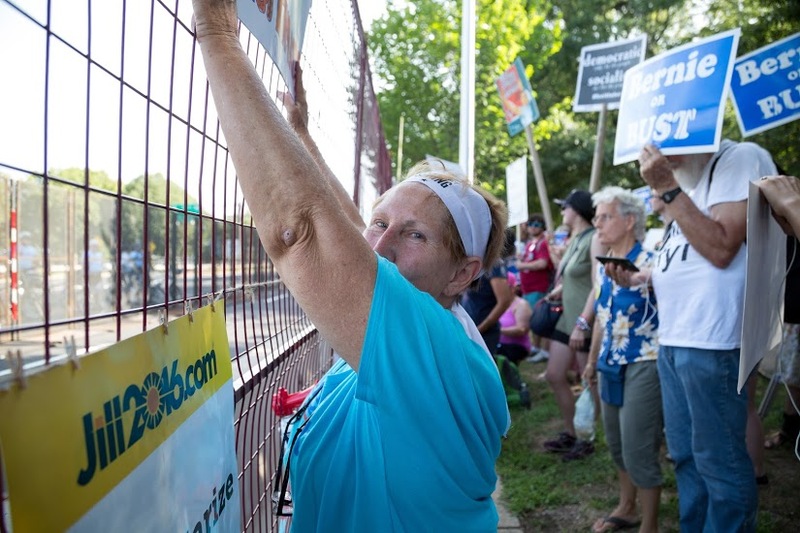 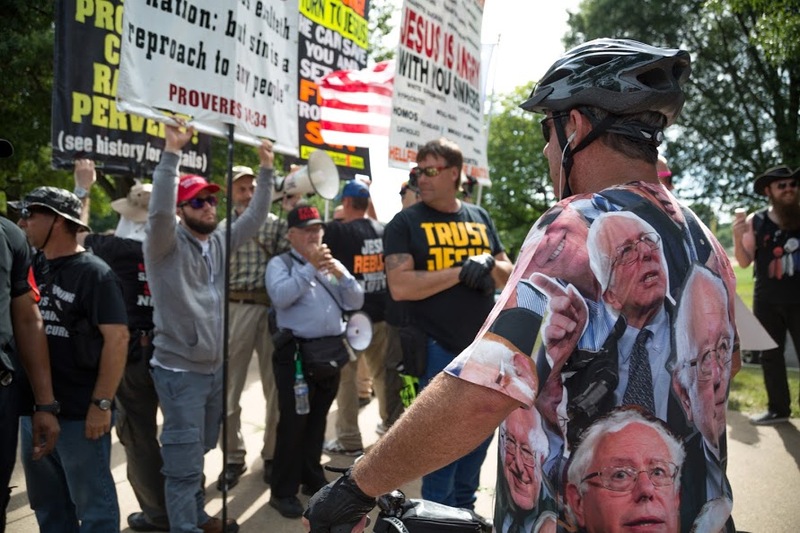 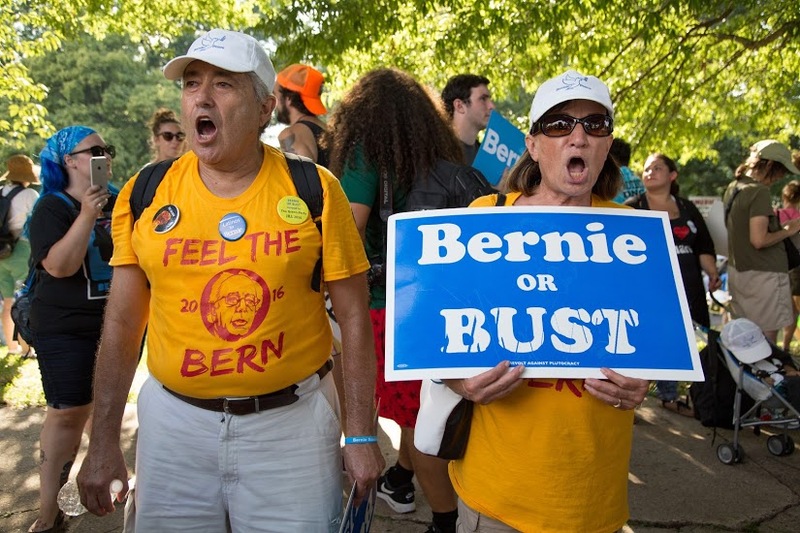 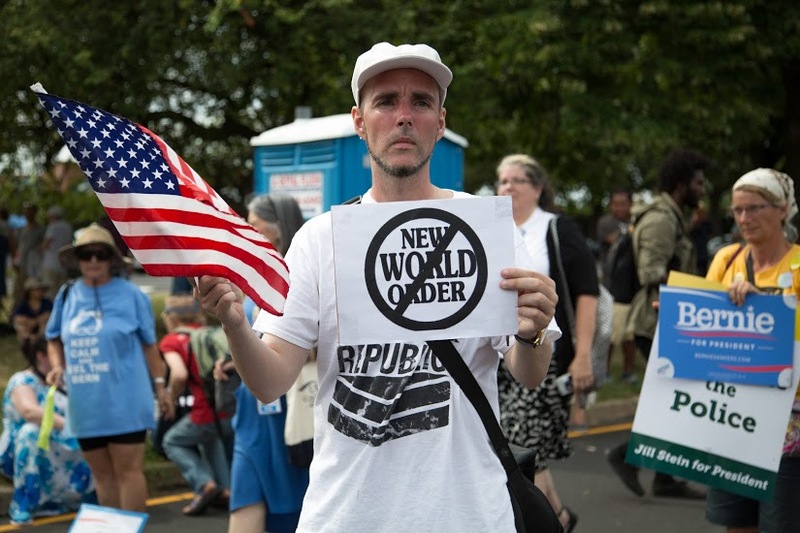 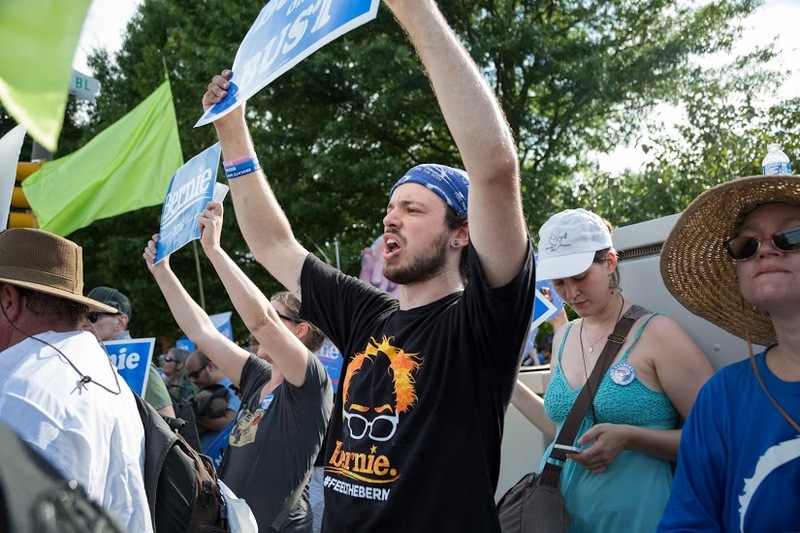 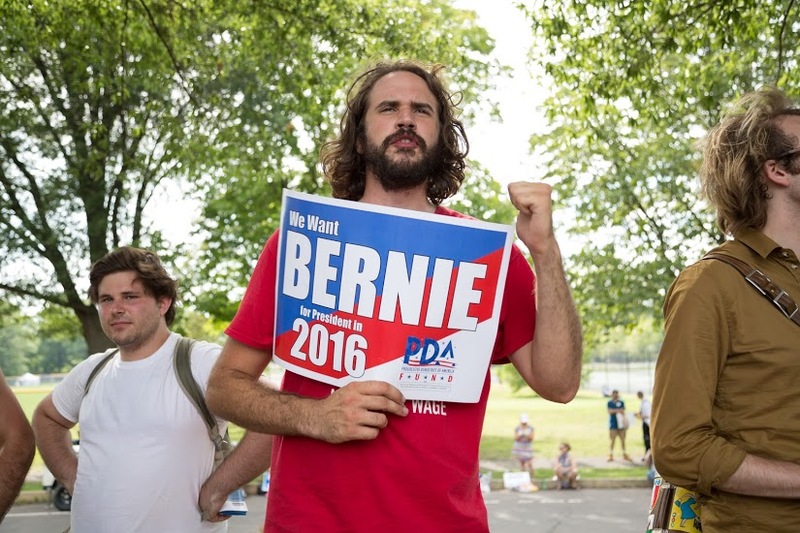 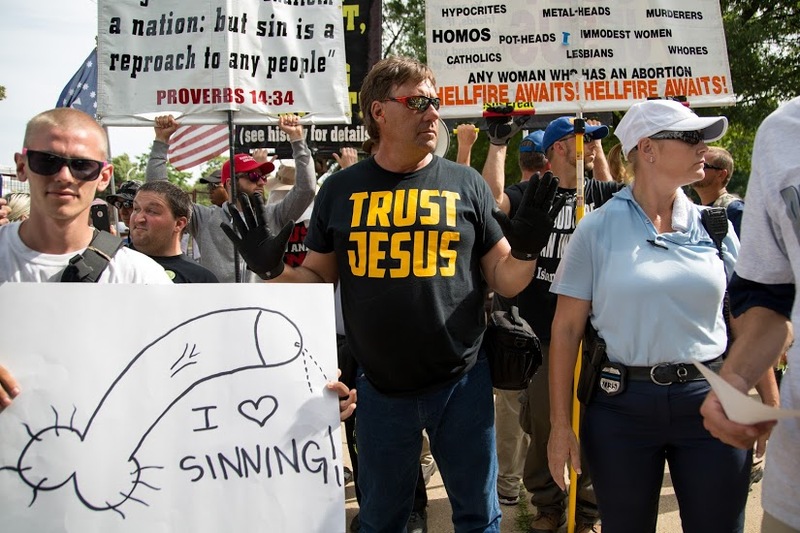 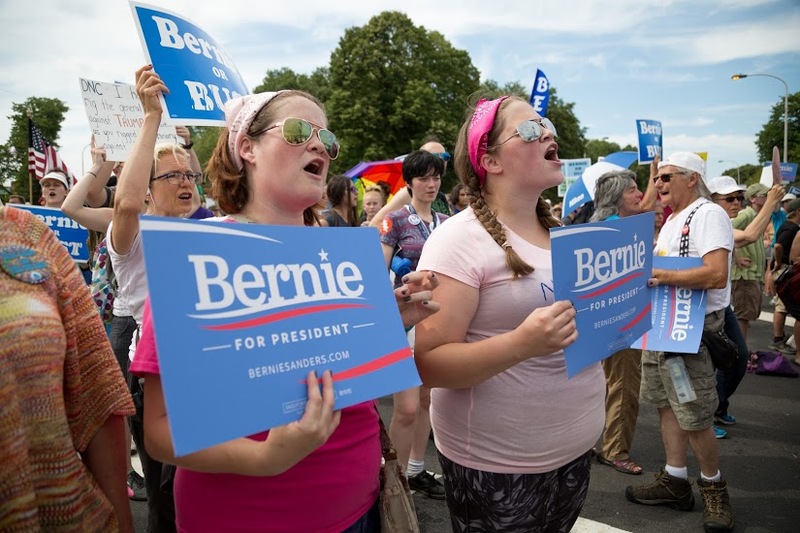 Protesters range from Bernie Sanders supporters to the gay-bashing Westboro Baptist Church. 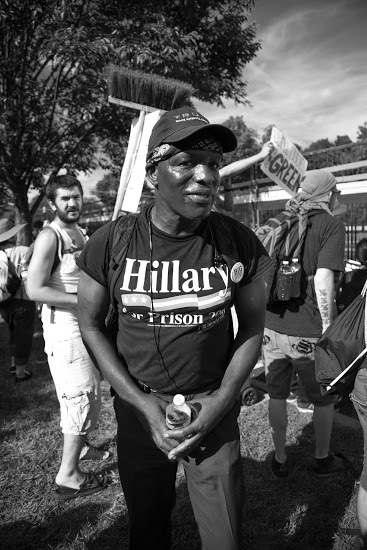 Motor City Muckraker will be posting Lockhart’s photos each day until the convention ends Thursday. 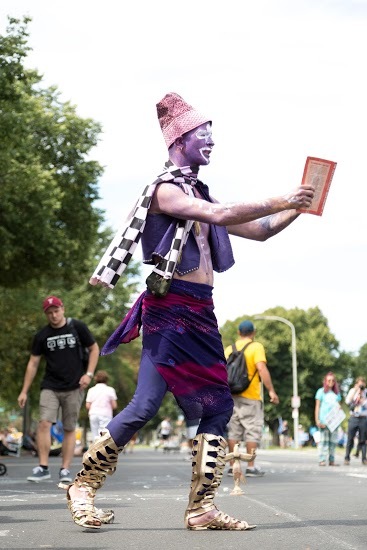 Check out Lockhart’s work on her website. 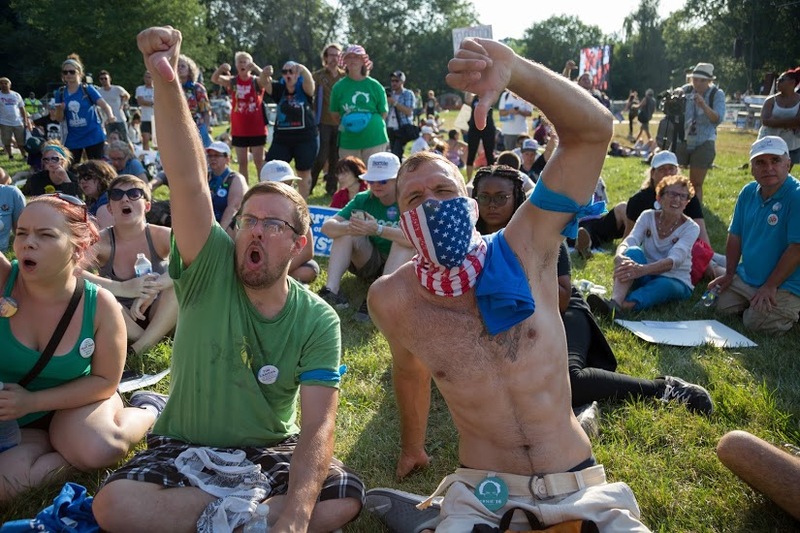 “This is what democracy looks like” – popular protest chant.